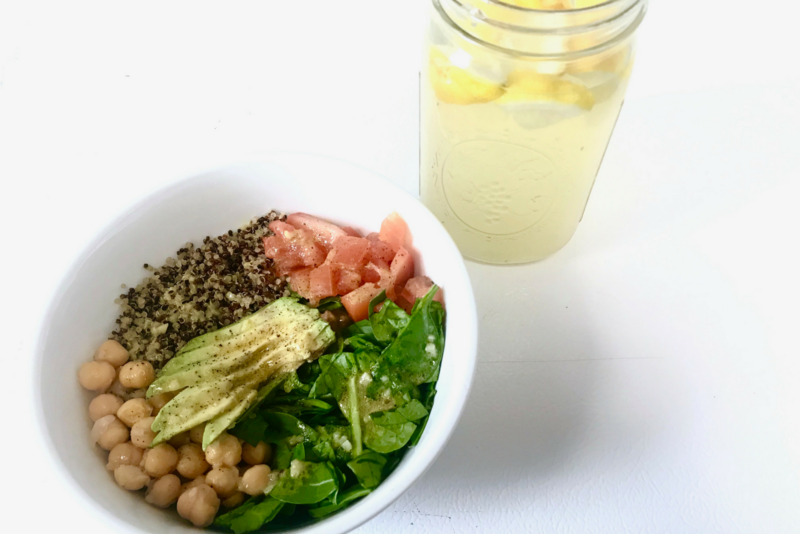 Maybe you have heard of the idea that what you eat correlates to your body’s pH, often referred to as the Alkaline diet or the alkaline-ash diet. Basically, what this consists of is eating a diet higher in alkaline foods instead of acidic foods. The claims? A surplus of benefits for your body. Some say that an alkaline diet can help with weight loss and help your bodily functions in terms of fighting disease and increasing energy production. There has not yet been confirmed research to prove these claims, but foods included in an alkaline diet are often praised for having many health benefits. I am sure this matches up with a lot of information you have heard before, but maybe it was never referred to you in the sense of acid versus alkaline. These alkaline foods provide many nutritional benefits, but to say avoiding acidic foods is necessary to obtain these positives outcomes would also be incorrect. Foods such as meat and dairy hold many benefits to an individual. Although abstaining from these products is not uncommon in the ideas behind vegetarianism and veganism, it is not do-or-die in terms of living a healthy life. While trying to move your diet towards a more alkaline shift, it is better to monitor your intake of acidic foods, rather than eliminate them all together. Just like all nutrition information out there, moderation is key. One of the largest misconceptions behind the Alkaline diet is that eating too much acidic foods will increase your blood pH. Our normal blood pH is slightly more alkaline than neutral (pH of about ~7.4) and thankfully, our body works to maintain that. Our body has several mechanisms to try to maintain this pH and if these mechanisms were to fail, it would be due to a much more serious health complication, not due to what you decided to eat for breakfast. Part of the way this maintenance occurs is through secretions such as urine and saliva. This is what people are talking about when they talk about getting their body pH tested. Drops in pH of your urine or saliva is simply due to the body trying to maintain your blood pH by doing its job and excreting the extra acid. Unfortunately, this is not necessarily an accurate way to measure your body’s overall pH. Our body’s pH is constantly changing all day, everyday. To dive in deeper to alkaline foods and ways to shift towards this higher pH, lets discuss ways to first lower your acidic intake. It is hard for me to say, but one of the easiest ways would be to cut back on the coffee. Next, lower the consumption of animal products may result in some positive health benefits. Trying out “Meatless Mondays” or simply lowering the portion of meat at meal time could have some advantages, as long as there is still adequate protein present from plant-based sources like legumes and different varieties of vegetables (which fall on the alkaline list)! The idea is that lowering, not eliminating, animal product consumption usually raises plant-based consumption, which has proven benefits across the board. Interestingly, lemon, limes, and grapefruit fall into the category of alkaline fruits. This gets confusing because outside of the body, they are thought of as acidic, more specifically citric acid. It gets complex, but basically the way these work when they enter the body due to their high mineral content and low sugar content, have an alkalizing effect on the body. Switching out your 3 P.M. cup of coffee for some lemon water may have some overarching benefits in terms of weight loss, immunity, and energy-availability. Overall, the evidence backed behind avoiding acidic foods and following a strict alkaline diet is not all that strong. What is strong is the evidence behind high consumption of fruits and vegetables, nuts and seeds, and healthy fats for multiple health benefits. As I stated earlier, moderation is key. The best way to maintain a balanced diet is to eat a variety of wholesome foods that most importantly make you feel your best! Feel free to to stop by Nourish or email Layla with any feedback or questions ljsaad15@gmail.com.